Strong heroines and riveting storytelling are the hallmark of groundbreaking fantasy author Kate Elliott (Crown of Stars, Crossroads). Elliott is a highly-compelling voice in genre fiction, an innovative author of historically-based narratives set in imaginary worlds. This first, retrospective collection of her short fiction is the essential guide to Elliott's shorter works. Here her bold adventuresses, complex quests, noble sacrifices, and hard-won victories shine in classic, compact legends. In "The Memory of Peace," a girl's powerful emotions rouse the magic of a city devastated by war. Meeting in "The Queen's Garden," two princesses unite to protect their kingdom from the blind ambition of their corrupted father. While "Riding the Shore of the River of Death" a chieftain's daughter finds an unlikely ally on her path to self-determination. 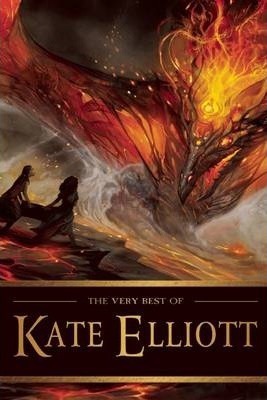 Elliott's many readers, as well as fantasy fans in search of powerful stories featuring well-drawn female characters, will revel in this unique gathering of truly memorable tales. "The Queen's Garden" "Leaf and Branch and Grass and Vine" "Riding the Shore of the River of Death" "Sunseeker" "The Gates of Joriun" "Making the World Live Again" "Morlan" "With God to Guard Her" "A Simple Act of Kindness" "To Be a Man" "The Memory of Peace" "My Voice is My Sword"
Kate Elliott is the author of the bestselling epic fantasy series Crown of Stars, the Crossroads Trilogy, and the Spiritwalker series, as well as the Court of Fives and Black Wolves young adult series. She writes fantasy, science fiction, and steampunk, and has received the Nebula and Locus awards. Elliott met her future husband during a sword fight, and they now live in Mililani, Hawaii, where she engages in competitive outrigger canoe paddling.